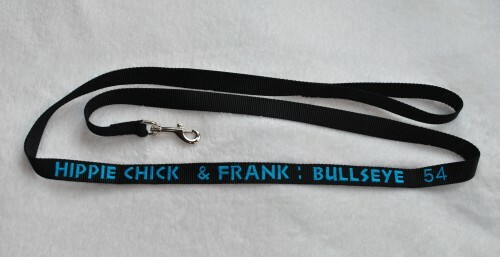 Personalized Custom Embroidered Dog Traffic Leash – Short – Show Leash with Names and Titles, your choice of font style and color of thread. Dog Leash is 1″ wide, 2ft long. 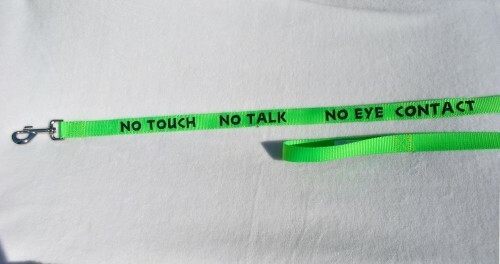 Personalized Custom Embroidered Dog Traffic Leash – Short Leash is made from soft thick heavy weight nylon webbing. 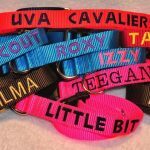 Display your dog’s achievements on a Personalized Custom Embroidered Dog Traffic Leash – Short Leash. 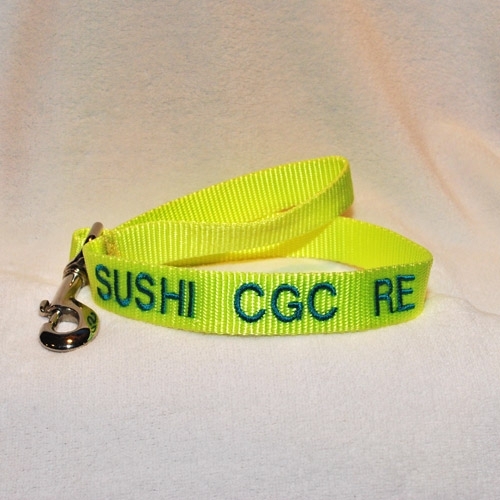 For example your could tell everyone he is a Therapy dog or holds Agility Titles or Obedience Titles. The dog leash allows 2′ to embroider. 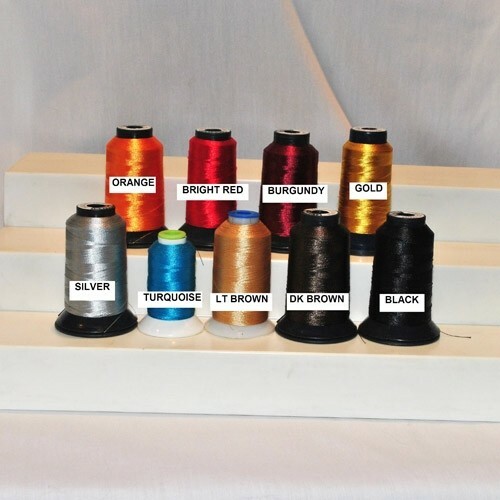 Your Personalized Custom Embroidered Dog Traffic Leash – Short Leash will be made with the a heavy duty nickel plated swivel snap hooks made of nickel plated steel for strength and durability. 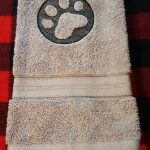 There will be a 8″ handle for you to hold. 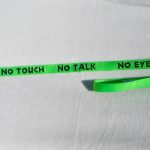 Personalized Custom Embroidered Dog Traffic Leash – Short Leashes are triple stitched for extra strength and security. 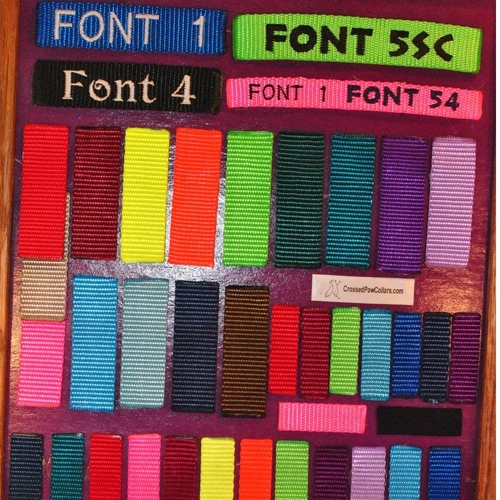 Embroidery stitching will show on the back side. 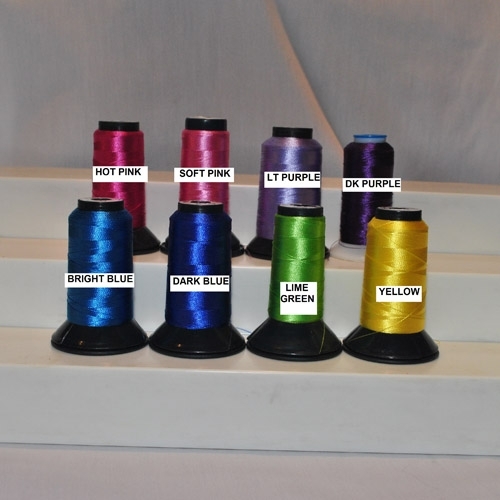 A plain back side can be added or Embroidery can be done on both sides. 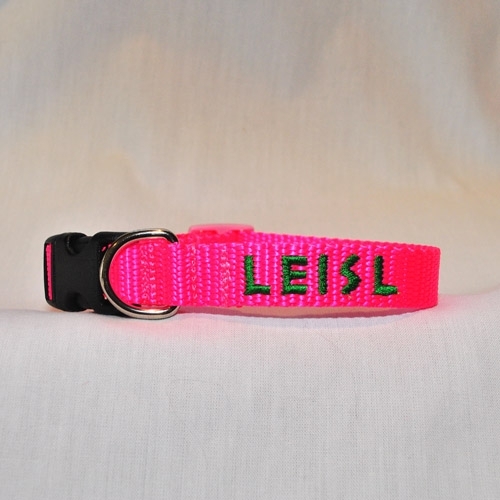 Our Personalized Custom Embroidered Dog Traffic Leash – Short Leashes are made to last! 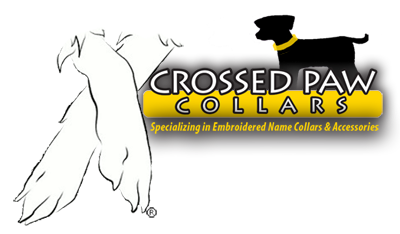 I have the Show Leash from Crossed Paw Collars. Flash looks amazing at the shows. 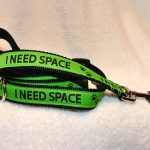 We get so many compliments on her leash. I will definitely be getting all my products from you from now on!